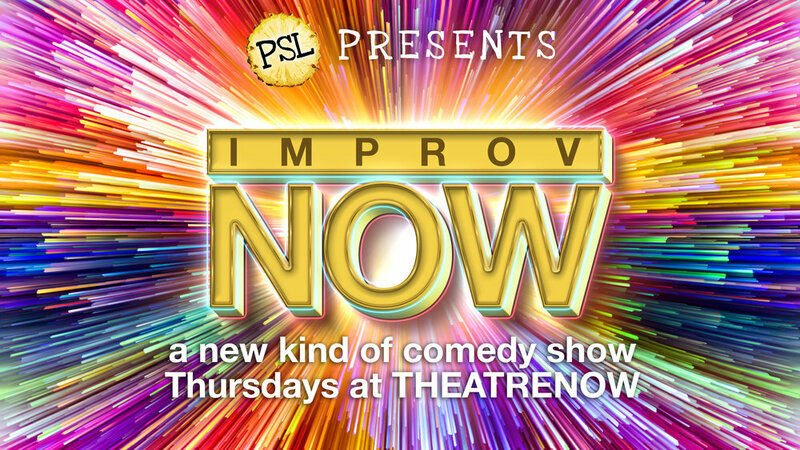 We are very excited to announce that PSL is presenting an all-new improv comedy showcase every other Thursday at TheatreNOW! We’re calling it IMPROV NOW, and every show will feature some of the most unconventional and exciting improv troupes in Wilmington…and beyond! Join us for another hilarious show on Thursday, February 21! We’ll be performing alongside Fresh Koresh and the amazing husband-wife improv duo Midnight Heat Wave! Doors open at 7:30, show starts at 8. Admission is “pay what you can,” and the bar will be open! TheatreNOW is located at 19 S. 10th St, on the corner of 10th and Dock, in beautiful downtown Wilmington.